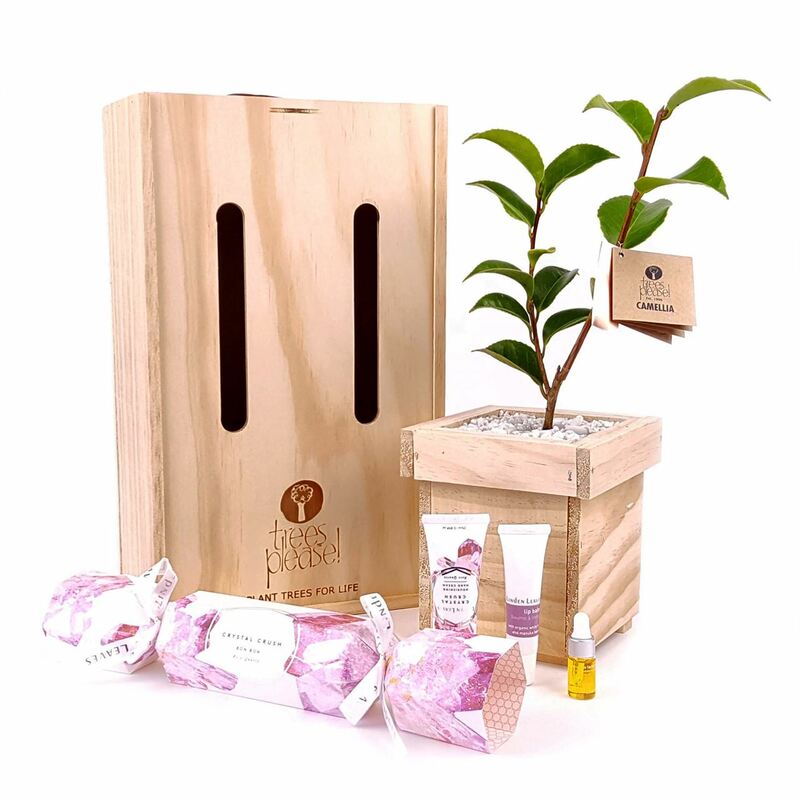 This gorgeous living tree gift contains a fabulous summer fragrance selection of Linden Leaves Hand Cream and a delicious Facial Oil Lip Balm with Organic White Tea and Manuka Honey. Choose from our selection of baby trees. This delightful gift will be perfect whatever the occasion.